My son is 25. He's a good kid, polite, smart, friendly, helpful. I thought I knew him, but 18 months ago, he suddenly withdrew from me, from our entire family. There was no abuse. We're a nice middle-class family. We took family vacations, attended his sports events, celebrated holidays - typical life. What happened to my son? He moved to Tallahassee and that's when the lying started. I couldn't figure out why? Why would he need to lie to me? We'd always had a close relationship, or so I thought. I didn't think I was judgmental. Maybe I did too much for him, or not enough? I don't know. This past summer he got MRSA and was in the hospital for several days. That's when I met his 'friend' who I found out was twice convicted for meth possession. Then I found out he's living with 4-5 guys in a 1 bed/1 bath apartment. That's when I saw him going thru withdraw - the shaking, the pain, the anger. My son is no longer in that body. It's now just taken over by something - meth, painkillers, I don't know. I haven't heard from him in 3 months now. He won't take my calls at work and he won't return my calls. His cell phone is cut off since he doesn't have the money to pay for it anymore. He skipped out on his apartment and I don't know where he is. I lost my son. The pain from this must be almost unbearable! The loss of your son is almost impossible to fathom. Because addiction attacks the brain, your son has become another person, controlled by his addiction and lost to everyone else including himself. Methamphetamine is an AWFUL drug that can cause major psychological disruption. Your son certainly NEEDS you even if the drug is blocking his ability to realize it. PLEASE don't give up on him. While he is still living there is always hope and a chance that he will stop using drugs and change back into the person you love and remember. The first thing I recommend is that you locate where he is living if possible. Do you know anyone that he may still be in contact with? If you find him, let him know that you still care about him and are willing to help him to end his addiction. I would also strongly recommend that you begin attending Al-anon meetings ASAP! Al-anon helps the family to understand addiction and to figure out what they need to do to help their loved one to end their addiction. Begin attending three Al-anon meetings a week, working the 12 steps and finding a sponsor who has helped their child to end their drug addiction. Your sponsor can be a great support for you and can help you to find all the resources available to you to figure out the best way to help your son. You did not cause it... You can't control it... and You can't cure it, you can help but it is not your fault. Somewhere along the line he was introduced to drugs and got out of control I lost a son on October 9 2014 to heroin overdose. We tried to help him for 15 years but in the end if they don't do it no one can do it for them. Will be praying for your family. Let me give you a little hope. My name is Angela and I am a recovering addict of 10 years. I will be 38 next month. My drug use started the year I graduated high school 1995. Of course I met the wrong people and starting using with them. I also had a great middle class family and this close bond with my mom. My mother put up the fight of her life for my life. It was a long process and well in the end I believe prayer is what saved me... her prayers my grandmothers prayers. My parents had me locked up, detained, whatever you want to call it and at first I was mad but that 5 months in jail saved my life. I am clean today because of the tough love my mother showed me and the prayers that my family never stopped until the day I got clean. Today I am clean and have been a long time. I have a great job, bought my first house Jan 2014, have a beautiful 4 year old daughter. My life is better than I ever imagined it could be. There is life after addiction, there is love after addiction, there is hope at the end of the tunnel! Talk to you hometown police station have him detained. Tell the police what he is doing. They may be able to catch him doing something wrong and place him in jail. That might sound awful but its not it's a blessing for and addict. I am an addict in recovery. I had never used drugs my entire life, and suddenly 31 years old and within 4 months I tried EVERYTHING. Meth is my DOC (drug of choice). I am only 2 months clean and sober, plan on staying that way but it's quite the battle. You say your son is 25... I started working with the Mental Health Association and they referred me to a psychiatrist. I have been diagnosed with Bipolar Spectrum Disorder (all 4 types) and with that they also diagnosed me with substance abuse disorder. It plays hand in had with Spectrum and bipolar disorders. Bipolar usually starts around the age of 25. Maybe this could be the issue, if your son has gone from being one way to suddenly being different and having troubles with addiction. Bipolar disorders can be quite destructive when it goes untreated. However, once diagnosed and medication and treatment are involved, Bipolar individuals are often quite successful in life and do incredible things. Could be wrong, but you never know. 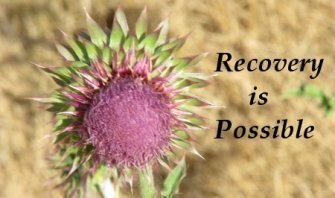 All possibilities should always be taken into consideration while battling addiction. I hope that you find your son and that you may help him turn his life back around. I won't lie, it will be incredibly difficult and the withdrawal from Crystal Meth is hard. It's a very emotional roller coaster. I have relapsed more than once. They don't call it 'Sucking the Devil' for nothing. Everyone has to hit rock bottom, and I mean hard as hell, to realize that there is still hope, and there is someone that cares.. that's coming from an 18 year old female, personal experience. 😦 I was alone and shut out for so long, that being alone in isolation was my everyday life..praying for you ma'am and your family.